United States President Donald Trump has been known for his peculiar and unique decisions and once again he has proved it. Trump will deliver his second State of the Union speech to Congress on Tuesday where a bullied young schoolboy named Joshua Trump has been invited as a guest. 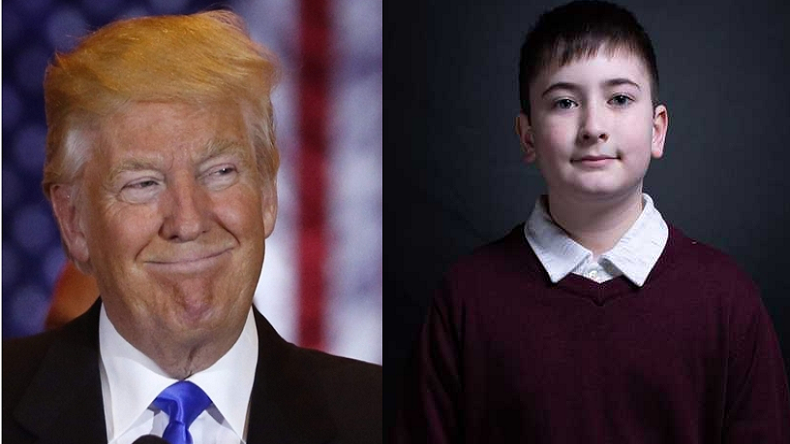 President Donald Trump will be delivering his second State of the Union speech to Congress in the United States on Tuesday and surprisingly, there will be a sixth grader young schoolboy named Joshua Trump, who is often bullied for his last name. The young boy is passionate about science and animals, who have been invited by the president, according to a statement released by the White House. Reportedly, Joshua Trump is a boy from Wilmington in Delaware, who has often been bullied in the school he has been studying because of his last name. However, it seems that has given him an opportunity of getting invited by the US president himself, which many young children would desire for. According to the statement issued by the White House, Joshua appreciates the subjects science, art, and history. It further states that Joshua loves animals and desires to pursue the related subject in his future career. Joshua has thanked the Trump family including First Lady for their support. Meanwhile, the guest list for the annual speech is permitted to be decided only by the president, first lady and the 535 Congress’ members.